EXCLUSIVE! A Signals bestseller in sterling silver, inspired by the "Winnie-the-Pooh stories by A.A. Milne. 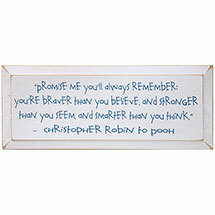 Words said by Christopher Robin to his best friend and "bear of little brain," Winnie-the-Pooh. Engraved on front with "Promise me you'll always remember: You're braver than you believe, and stronger than you seem, and smarter than you think." 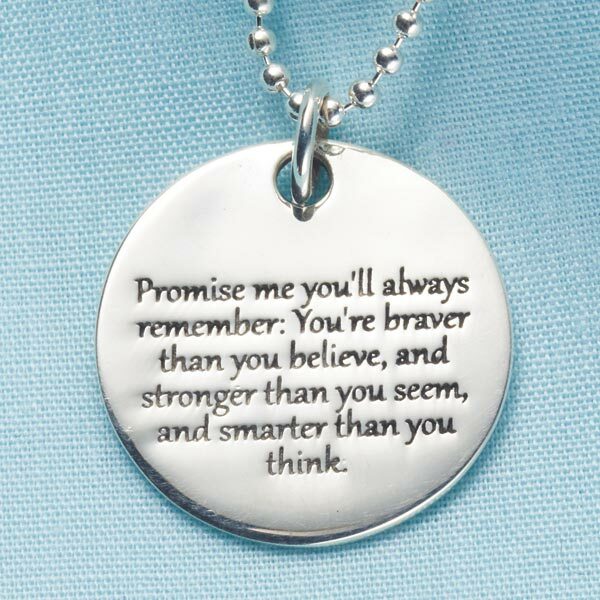 Engraved on back with "Christopher Robin." Sterling silver pendant on sterling silver ball chain. Pendant is ¾". Chain adjusts 16"-18" Secures with a spring ring clasp. 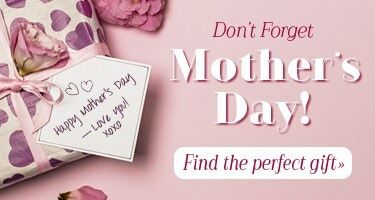 A wearable reminder of your love, encouragement, and faith in the wearer. A meaningful gift. When an Englishman named Alan Alexander Milne sat down to write a story about a boy and his toy bear, he couldn't possibly have known that one day "Winnie-the-Pooh" would be one of the most popular and beloved literary characters in the world. Milne's only son, Christopher Robin, was born in 1920. In 1921, the boy's mother, Daphne, bought him a small stuffed bear from Harrods, the London department store. At first, the bear was called Edward. Christopher Robin later changed that to Winnie, after a black bear at the London Zoo. "The Pooh" part came from a swan he fed in the mornings. "Winnie-the-Pooh" was published in 1926. It was followed in 1928 by "The House at Pooh Corner." The books have never gone out of print. They have sold many millions of copies, have been translated into several languages (including Latin; "Winnie ille Pu" was a New York Times best seller), and have entered our culture in countless ways. Pooh-isms ("Eeyorish," "kanga," "heffalump," "Pooh-sticks") have been added to the Oxford English Dictionary.